Although we use air to produce sound within the trumpet, we are mainly creating vibrations. Figure what happens to those vibrations when we create external muffling and tension on critical areas of the horn. What once had a natural resonance point is now being cut off and dampened due to unnatural forces being placed on the trumpet. 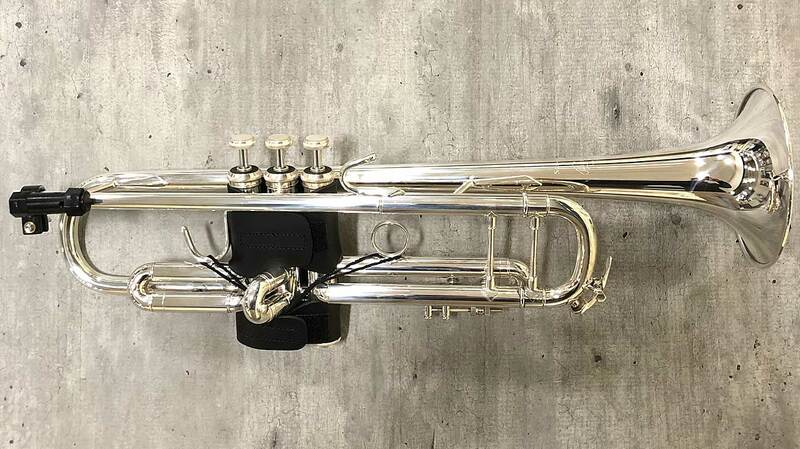 When a trumpet is being conceptualized and brought to life in the R&D phase, the manufacturer is evaluating every single part of that instrument so that it achieves maximum performance levels. Minute adjustments such as the water key chimney height and small braces between valve slides all have an enormous impact on how a trumpet sounds and responds. One model of trumpet may sit in the research phase for years as developers are working with different materials, weights, gaps, thicknesses, bore sizes, etc… all to achieve the most pure and brilliant product possible. Now imagine the heartbreak of these developers as they hand off their new trumpet to someone who instantly slaps on their 10-year-old sweat-soaked valve guard and attaches a brand new, extra-tight hair tie from the third valve slide ring to the first valve slide ring. Then, for a good warm-up, they overtighten a BERP onto the leadpipe, the most critical place for vibration on the trumpet. I would compare this to getting a brand new Ferrari and then setting a governor on the engine that doesn’t allow speeds over 70 mph. The machine still works very well, but is unable to reach its full potential due to an aftermarket limiter. What I am NOT saying is to get rid of the gadgets and practice tools that get mounted on to your trumpet! You may be one of those people who have extremely acidic perspiration and that valve guard is a necessity to prevent your sweat from eating through the finish. The BERP is a great training device to use for mouthpiece buzzing. If you are in a marching band, a hair tie or similar device is a great fail-safe to make sure your slides don’t fly out. Otherwise, only use it when storing the trumpet in its case to prevent slides from falling out in-transit. But maybe a week or two before a performance, start to release those items and let the natural brilliance of your horn shine through as it was meant to be. I believe you as well as others in your section will be surprised as to how different of a sound is immediately produced!